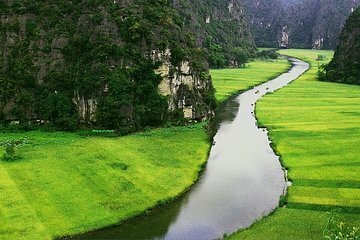 Explore the scenic interior of northern Vietnam on a full-day tour from Hanoi to Hoa Lu and Tam Coc. 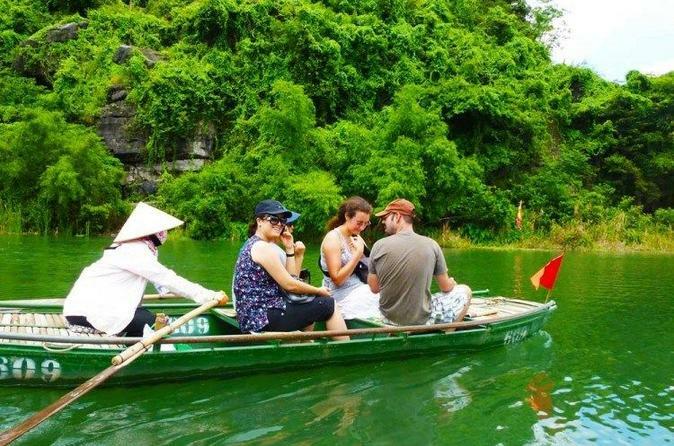 Float down the Tam Coc river and see large caves in the limestone mountains, then bike and walk through the stunning countryside of Hoa Lu and Truong Yen. Your guide provides commentary about the region and takes care of logistics including lunch, bike rental, and hotel pickup and drop-off. Amazing scenery and fun biking . guides were very friendly and knowledgeable. We got to visit all the the temples and as a bonus, we visited their village and got to appreciate how they live. It was very educational and even surprising to see how they make out with so little. Great experience!